What’s Included in my Apartment? Located just across the Seine from AUP, the 8th arrondissement is home to the Arc de Triomphe, the most famous avenue in the world—the Champs-Elysées—as well as the French presidential palace. Here you’ll see some of the most elegant architecture in the city and find some of the most prestigious shopping locations. Here are our neighborhood highlights! 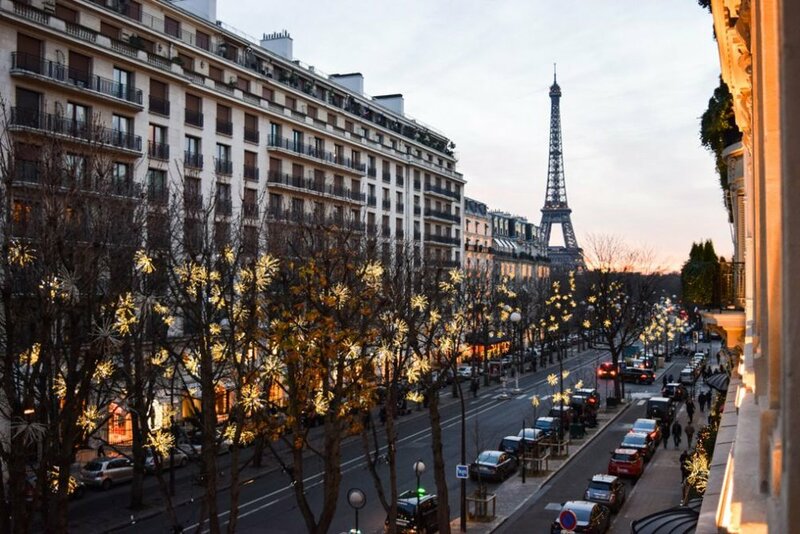 Avenue Montaigne, besides having beautiful architecture, is where you can find some of the top luxury shops in Paris. Even if you don’t intend on buying anything, it’s worth strolling down this impressive avenue. The nearby Champs-Elysées is home to the flagship stores of many major brands. Le Grand Palais was constructed in 1897 for the Universal Exposition of 1900. Today, this Beaux-Arts style building is a large exhibition space and regularly hosts some of the most popular art exhibitions in Paris. Opening this fall: “Magnificent Venice!” and Miró. Le Petit Palais is located directly across the street from Le Grand Palais and is home to the fine art collection of the City of Paris. The beautiful interior courtyard, where you can enjoy lunch or a coffee at the museum café, is worth visiting, too! Musée Jacquemart-André. 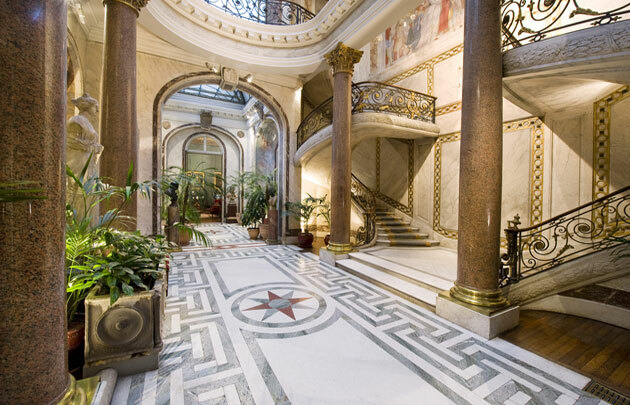 This opulent former hôtel particulier is home to a private collection of European art including paintings by Rembrandt, Bellini, Tiepolo, Jean-Honoré Fragonard, and many more. Le Mermoz is known for its fresh, seasonal food and good wines (including organic and biodynamic wines). Udon Kisin serves traditional Japanese food like udon and tempura made with the best quality ingredients. One of the best places to get a real taste of Japan in Paris! Mathis Bar is located in the Hotel Mathis Elysées Matignon, and is one of the more upscale cocktail bars in Paris with a chic, boudoir-style décor. 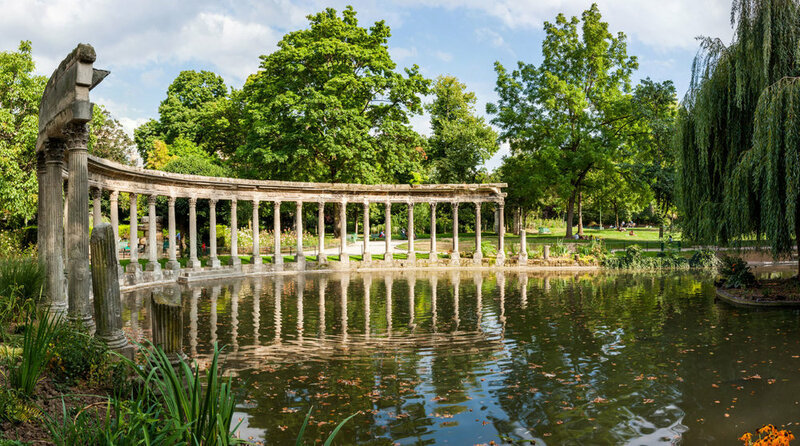 Parc Monceau is one of the prettiest parks in Paris. It has big lawns for picnicking and sunbathing, rows of benches, and gardens that are beautiful no matter what the season. It’s not exactly a green space, but it’s good to know that on the first Sunday of each month, the Champs-Elysées is closed to traffic, essentially transforming it into a large park! A car-free Sunday stroll or bike ride here lets visitors see the Champs from a different perspective.